Did you know that cat’s claws are projectile? This means that a cat has to engage muscle and tendons in order to use their claws. (Unless they are a cheetah whose claws are always partially protruded) Claws are made up of keratin the same as your nails and hair but in cats, the nail grows in cornified layers like an onion and it is the act of scratching that keeps the nails thin, sharp and ready to use! In addition to keeping their claws, sharp cats also scratch to leave a visual and olfactory signal behind once they are gone. While cats will usually urine mark the edge of their territory, they leave their scratch marks inside their territory. When housecats are studied 65% of the population engages in scratching behaviour at least once a day. Scratching is a natural, normal, needed behaviour for all cats. So how do you try to encourage them not to use your new sofa? 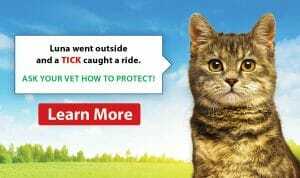 The basic answer is scratching posts – but are you doing it right in regards to your cat’s post? Because cats use scratching to leave a message their scratching post needs to be in the area they spend most of their time, hiding it in the basement just won’t do the trick. Scratching posts need to be tall and sturdy like a tree; the minimum is three feet tall and three feet wide. If your cat stands taller than your scratching post, then you need a taller post or to be OK with them using the back of the sofa. Scratching posts should be multiple levels giving your feline a chance to nap and scratch all in one convenient location. If you have multiple cats you should have multiple scratching posts, it has been shown in studies that the more scratching posts you have the less inappropriate scratching your cat will do. This also means that if you have a new chair that your cat has been eyeing up, putting a scratching post beside it for a while is a good idea to allow them to have a ‘safe’ surface to scratch on. If you have a nice tall, sturdy scratching post next to your cats, favourite sleeping spot and they still won’t use it consider honeysuckle or catnip rubbed on the post to help stimulate them to scratch. 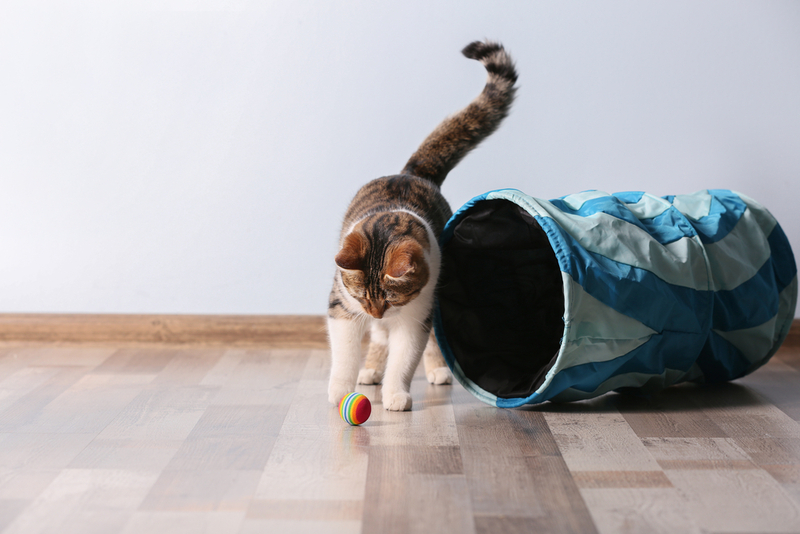 Some cats also have texture preferences – sisal rope is the most commonly preferred scratching substrate, but your finicky feline may want carpet or cardboard instead. And if you have a cat who is ageing and getting some arthritis, they may start to prefer a horizontal scratching surface rather than standing up to scratch. 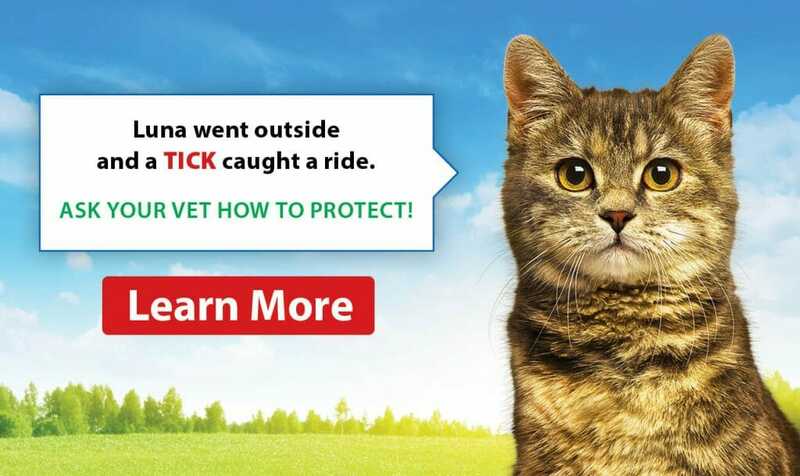 If despite all your attempts your cat is still struggling with inappropriate scratching you can try Feliscratch (https://www.feliway.com/uk/Products/feliscratch-by-feliway) to help with training your cat. 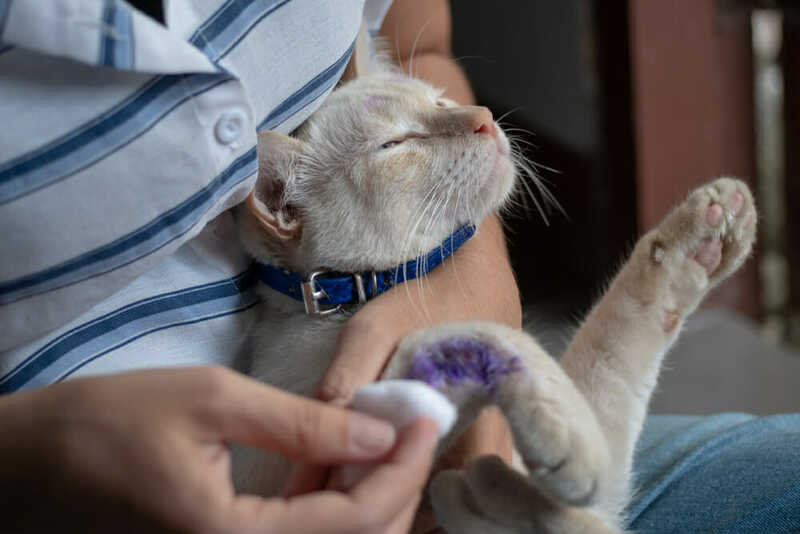 Of course, regular nail trims can help keep your kitties’ nails from getting too long to do damage, and nail caps such as Soft Paws ® can minimize the damage done when your kitty tries to scratch. What we can’t recommend is surgically removing the tips of your cats’ paws, and we haven’t offered the “declawing” procedure here in many years. If you are struggling with scratching behaviour and need to talk you can always reach us here in the clinic, or you can be like the Italians who are the least likely to consider scratching to be a problem behaviour and accept it as part of having a cat in the house.